LEAP is hiring, Farm Share registration is open, and plenty more reasons to get excited about our local food bounty! 2018 LEAP Farm Share registration now open! Looking for an easy, convenient way to eat fresh, healthy foods and support local farmers, all season long? 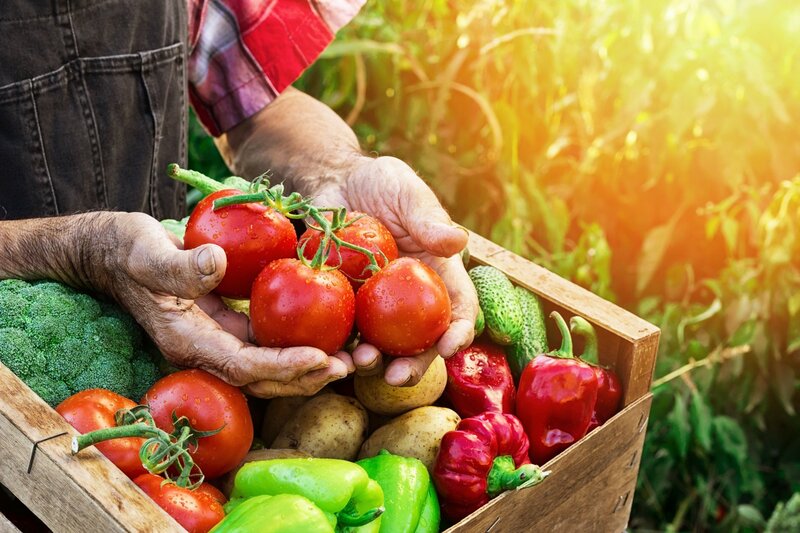 Join LEAP’s 2018 Farm Share! LEAP aggregates local fruits, vegetables, eggs, and more from farmers within 100 miles of Roanoke. Farm Share members then pick up their curated box of fresh, seasonal food every week, (24 weeks, May through October, with two built-in vacation days), from one of the pick-up locations. 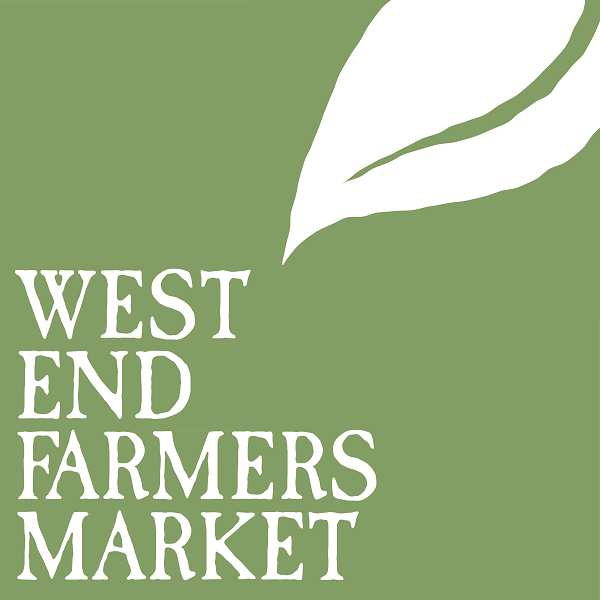 Pick-up locations for 2018 include the West End Farmers Market (Tuesday 3-6) and Carilion Roanoke Memorial Riverwalk parking deck (Wednesday 3:15-6:15). We’ll send a weekly email newsletter to remind shareholders about pick-up and to tell you what’s in the share that week. Exclusive food preservation classes will also be available to Farm Share members at The LEAP Kitchen. 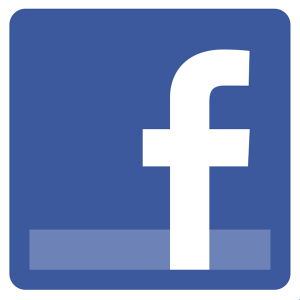 All shares are filled on “first paid — first served” basis. Reserve your shares early, before our pick up sites are full! We will have a waiting list, as needed. All shares must be paid in full by April 16th, 2018. As an early-bird bonus, pay by March 31 and we’ll throw in a $10 gift card to any LEAP Farmers Market! SNAPshare: All shares are *half price* with your SNAP/EBT Card! This year, funds raised through Roanoke Valley Gives will support the LEAP Mobile Market and our popular Senior Incentive Program. Your support will help us keep serving Melrose Towers residents with vouchers for fresh, healthy produce and expand our services. 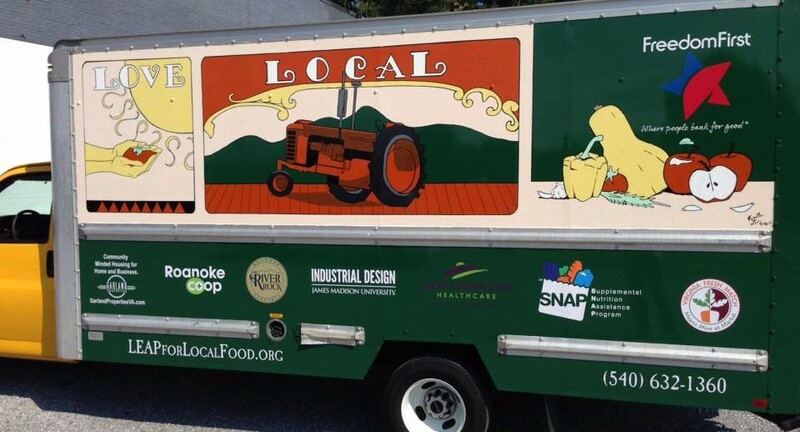 The innovative LEAP Mobile Market brings local produce (grown within 100 miles) to Roanoke neighborhoods where it is hard to buy fresh produce. At our 10 weekly stops in 2017, we sold lots of local produce and served nearly 3,000 individuals in low-income and “food desert” neighborhoods. And for 2018, we’ll be expanding to even more stops each week in Southeast and Northwest Roanoke! Like all our markets, the Mobile Market participates in our Healthy Food Incentive Program. One of our most-loved stops has to be Melrose Towers. We visit this 200+ unit senior housing center each week and serve seniors on fixed incomes, many of whom also have mobility issues and therefore a difficult time getting to the grocery store. Each week, participating low-income seniors get a $5 voucher to help bolster their food budget. They love shopping for greens, fruits, vegetables, and eggs, and we love driving the Mobile Market up to Melrose Towers to a line of seniors ready for fresh food! Check out our website to hear from a few Melrose Towers residents who have benefitted from the LEAP Mobile Market and the Senior Incentive Program! We greatly appreciate your support, as do all our community members who benefit from our programs! All donations are tax deductible. We’re hiring! Join the LEAP team as Mobile Market Manager! LEAP is seeking a passionate person committed to the values of food justice to fill the Mobile Market Manager position. The Mobile Market Manager will manage the daily on-site operations of the LEAP Mobile Market, conduct outreach to customers, promote and explain Healthy Food Incentive programs, collaborate with community partners, assist with the LEAP Farm Share, and help manage inventory. 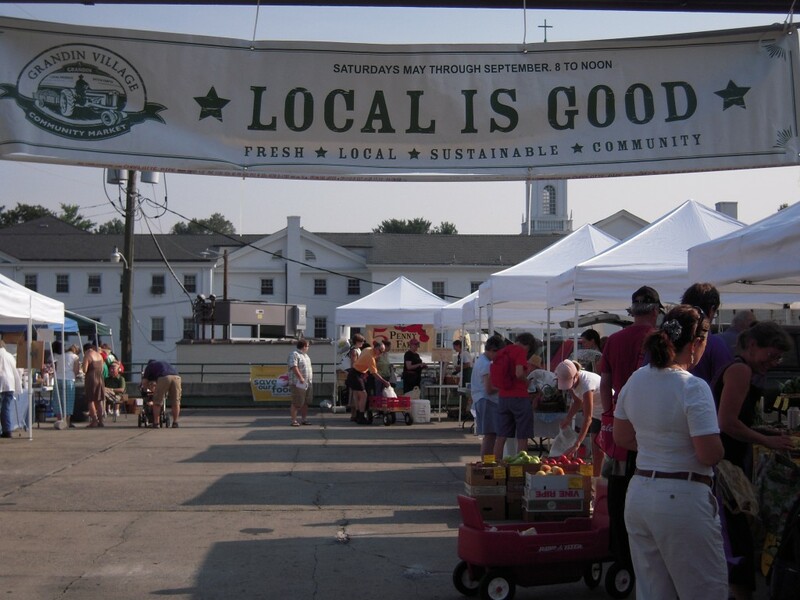 The Market Manager will be responsible for maintaining strict market standards and work to foster a vibrant, community-focused environment at each market stop in the diverse neighborhoods of Roanoke. This is an intensive customer service management opportunity, and will require an energetic, motivated individual with strong communication skills and attention to detail. This is a seasonal, full time position. If you love fresh, local foods and you’re passionate about food justice in Roanoke, this position is for you. Check out the posting to learn more, to apply, and to help spread the word. Email resume and cover letter to Maureen by March 16. 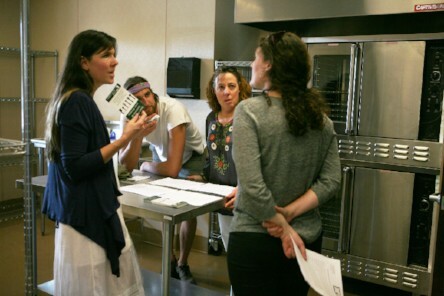 Join us at the LEAP Kitchen on Monday, March 26, from 5:30 to 7:00pm, for a special Food Business StartUp class. We’ll be talk about some changes to our LEAP Kitchen membership structure, unveil a new series of educational opportunities for aspiring food business entrepreneurs, and share a handful of food business concepts that would fill a perceived gap in our local food system (and that we think would have a good chance of succeeding in Roanoke). The program is free and open to the public – please join us! And stay tuned for more exciting updates from the LEAP Kitchen in the coming weeks! Mobile Market coming out of hibernation for special event! 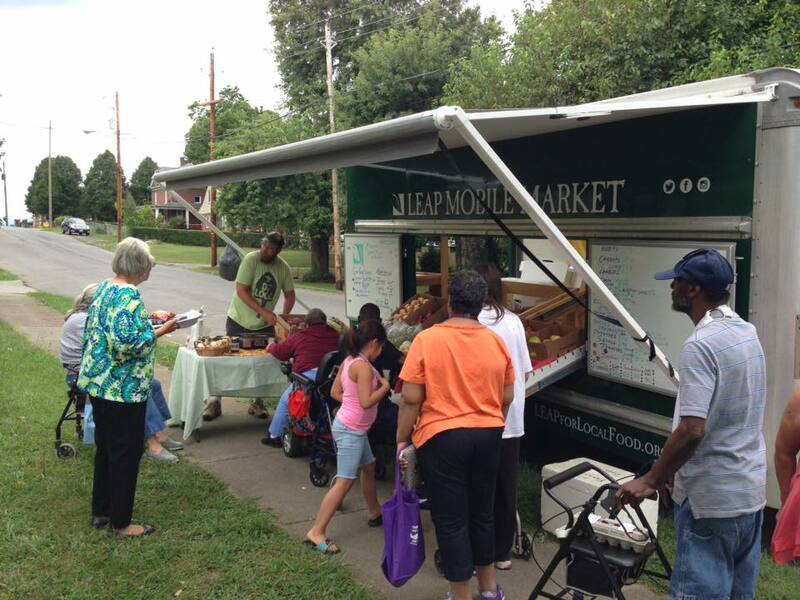 Come out to Carilion Roanoke Memorial on Wednesday, March 21, from 3:15 to 6:15 for a special event featuring the LEAP Mobile Market! We’ll be parked outside the Riverwalk parking deck with a full spread of fresh, local goodies for you to enjoy! Come pick up some delicious, nutritious, locally-grown fare, and chat us up to learn about all our programs, including the 2018 Farm Share (the hospital parking deck is one of this year’s weekly pick-up locations). 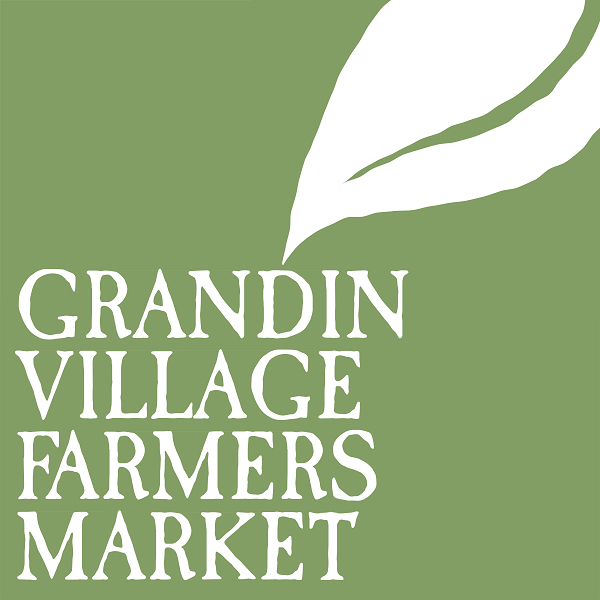 Next Grandin Village Winter Market: March 17! Come stock up on early-season produce, starts for your garden, baked goods, prepared foods, and oh-so-much more on Saturday, 3/17, from 10am to 1pm! And mark your calendars for our regular market season’s Opening Day on April 21 (which happens to coincide with Roanoke’s Earth Day celebration, also right here in Grandin Village)! If the mercury has dropped too low on any given Tuesday, look for us inside, but regardless of the temperature, we’ll be around back of the Freedom First branch at 1210 Patterson Ave SW every Tuesday, 3-6pm, with plenty of delicious local fare. This time of year it seems there are new fresh, delicious options offered up each week – don’t miss out on the best of the early-season bounty!